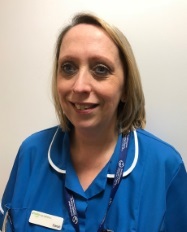 My name is Sarah Quarrell and I am the ILD Specialist Nurse for Southampton Hospital. I qualified in Portsmouth in 1984 and then spent over 20 years working on general medical wards. I joined The Respiratory Centre in 2005 and have been in my current role since 2009. I work alongside our Consultant team and help to coordinate the diagnosis of new referrals and the care of existing ones. My role includes helping patients to start on specialist drugs and provide ongoing support via my own hospital clinics and phone calls. I also liaise with our other services such as Oxygen and Palliative Care. You can also meet me at our WILD meetings. WILD is the Wessex Interstitial Lung Disease patient support group. OK, don't show this message again.